Team K-Way Wintergreen’sBernard Rukadza and AJ Calitz further extended their lead with a second consecutive stage victory at the AfricanX Trailrun presented by ASICS at Boschendal Wine Estate on Saturday, 28 April 2018. 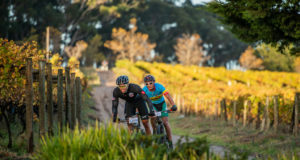 Stage Two started and finished at Retreat, Boschendal Wine Estate. Teams had to complete a 33km – 35km route. Team K-Way Wintergreen claimed the Stage Two victory in a well-deserved time of 02 hours 58 minutes 24 seconds. Team Old Mutual Wealth’s Timothy Chambers and Jonathan Black came in 2nd, while Team #gearupgetout is #timetoplay’s Lucky Miya and Thabang Madiba finished 3rd. 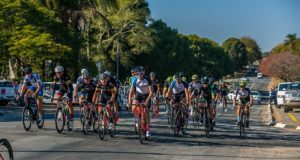 Nicolette Griffioen and Carla Van Huyssteen of Team KeyHealth Neverest / K-Way also claimed their second stage victory for the weekend in a time of 03 hours 28 minutes 42 seconds. “Today’s stage was hotter than yesterday,” says Griffioen. “The route was also flatter, which isn’t our strong point. The girls kept with us. We pulled away on a climb and managed to keep our lead”. Team R & R’s (Retired & Rewired) Kate Roberts and Mari Rabie came in 2nd, while Team Tailwind Ladies’ Danette Smith and Kate Mapham finished 3rd. In the mixed team race Team Crumb’sDavide Del Fante and Daneil Feldmann also managed another stage victory in a time of 03 hours 51 minutes 19 seconds. Team Gauteng Diesel Engines’ Takalani and Mazu Ndandani came in 2nd, while Team ATS’ Leani Grimes and Jacques Buys finished 3rd. 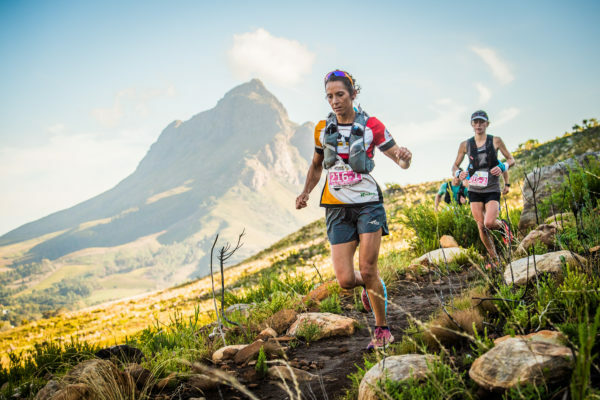 The AfricanX Trailrun is a three day stage trail run that requires teams of two runners (male/female/mixed) to battle it out on a route that varies in distance between 20km – 36km each day. Teamwork and endurance is put to the test. SANET WENTZEL SPIRIT AWARD: Introduced in memory of a fallen athlete, the ‘Sanet Wentzel Spirit honours AfricanX entrants who persevere irrespective of the adversity that they face. BEST DRESSED COMPETITION: Although all three stages of the AfricanX Trailrun are equally special, Stage Two features ‘that extra flair’ with trail runners allowing their creative sides to get the better of them as they try to outdo their rivals in the AfricanX’s “Best Dressed” competition. With awesome sponsor prizes up for grabs, “Dress Up Day” is sure to be the source of much excitement. For additional information or to enter the AfricanX Trailrun presented by ASICS visit www.stillwatersports.com, contact Stillwater Sports on 082 991 0045 or email entries@stillwatersports.com.